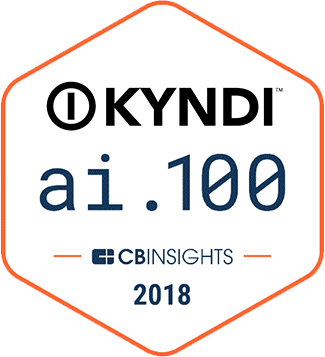 Kyndi™ is building the first Explainable AI™ platform for government, financial services, and healthcare. Explainability is critical for regulated industries where organizations are required to explain the reasoning behind a system’s decision-making. Earlier this year, Don LaVallee, former Director of Strategic Business Operations and IT at SHARP Microelectronics of the Americas, joined Kyndi™ Founder and CEO Ryan Welsh for a webinar on Explainable AI™, where they discussed what it is and why your organization should care. We were recently lucky enough to speak with Don again, this time about executing an enterprise AI project. Below is part one of the conversation. Ryan Welsh: Welcome, Don. It’s great to be speaking with you again. Would you mind providing everyone with a bit of background on yourself? Don LaVallee: My name is Don LaVallee. I am the former director of Strategic Business Operations and IT at Sharp Microelectronics of the Americas, a business unit of Sharp Corporation. Prior to my 17 years with Sharp I was an IT manager for HP and European IT manager and corporate Global IT Computing Services Manager for Mentor Graphics. For the last 30 years, I’ve been developing computer automation systems using knowledge-based rule systems for manufacturing, sales, and e-commerce systems, as well as global supply chain management systems. I now provide business management and IT consulting services to customers in a broad range of industry segments. RW: What skills are needed today to roll out an enterprise AI project and what have you done to further develop your skills in this area? DL: The skills required are similar to traditional enterprise IT projects. A broader scope of technology and more integration points add to the complexity. Putting together the right team of people and designing the correct architecture before you start is more critical than ever. It takes time, patience and skill to put together the right team. You’ll want the team to come together quickly, innovate, simplify existing systems and processes, and design working prototypes that demonstrate value in reasonable timeframes. There are three branches of study required. Combining all three areas is where the executive leader (CIO, CTO, CCO, COO) needs to be able to engage and collaborate with a team of very diverse people. Technical aspects include math theory, logical problem solving, data capture and storage, and knowledge representations in digital storage formats. For the technical understanding part, I refreshed my understanding of Linear Algebra, Cartesian Mathematics, and Semantic Networks for Knowledge Representation. Now that I am able to communicate using terms the AI tool vendors and my programmers are using, I need to apply the technology potential to the business problem. Understanding the relationship between business process and business strategic management is an internal organization learning process. If the organization lacks process or strategic documentation, you may have to start by writing your own course books, so as to allow the team to have access to the same process knowledge and situational awareness as you. Third and most important is developing a vision and leadership strategy that will allow you to effectively build and empower your team. It will take a strong team to create the vision, design the solutions and build the working prototypes that demonstrate the value of time and money spent on AI projects. RW: What was the most valuable aspect of that training? DL: Insight and situational awareness. When you break a problem into smaller parts it becomes manageable. When I was refreshing my math skills and reviewing the evolution of LISP, PROLOG, PYTHON, PEARL and reading about logical models and semantic networks, I started to see all the technical pieces come together. Self-study and experience in team leadership, strategy development, and managing business operations processes gave me the second leg of confidence. Lastly, the formal on-line class work with case studies, assignments with due dates, and deliverables each week required thoughtful consideration of how the technology and business strategy would be impacted by the people aspects you’ll encounter in every organization and IT project, AI enable or not. Be sure to return next Thursday for part two, where Don will discuss identifying enterprise IT problems, the biggest challenges in addressing those problems, and measuring the success of your enterprise AI project.